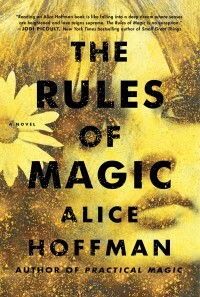 I've always liked Alice Hoffman as a writer. She is definitely a strong story teller, and she brought "Practical Magic's" back story to life with a good plot, and some great characters. I loved Aunt Isabelle. Part of the story is set in the 60's, and Hoffman works that into the storyline well.